Wood Grain Essential Oil Diffuser PB-1218S is a tulip flower-shaped diffuser that is BPA-free and transforms water and essential oils into a cool mist-preserving health benefits from the oils while humidifying the room. 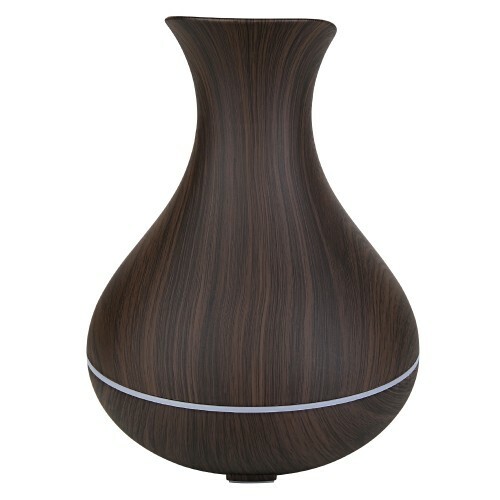 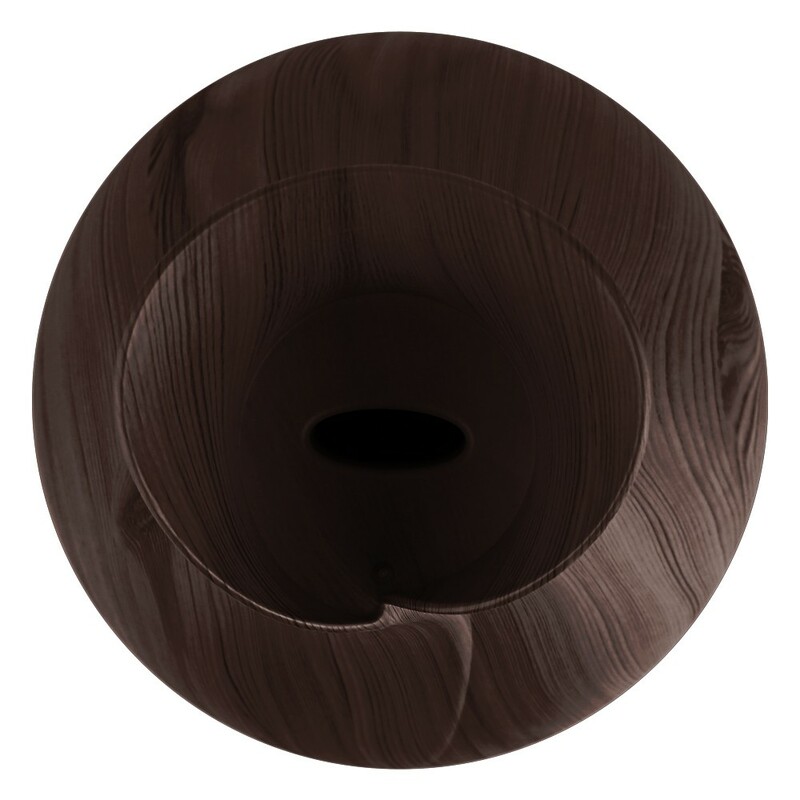 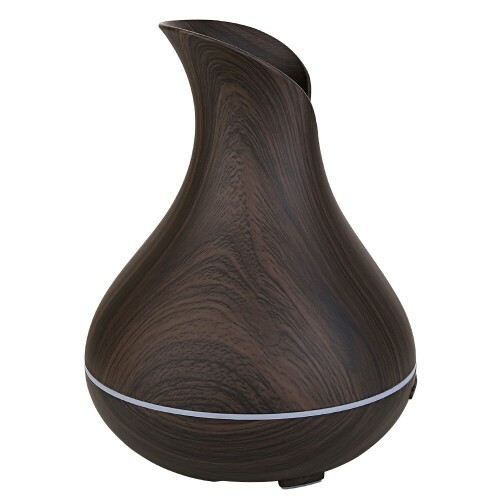 Classic Design: Sleek tulip style with wood grain finish meets modern function in this beautiful,practical diffuser. Designed to be a perfect decorative piece that fits in with any decor. 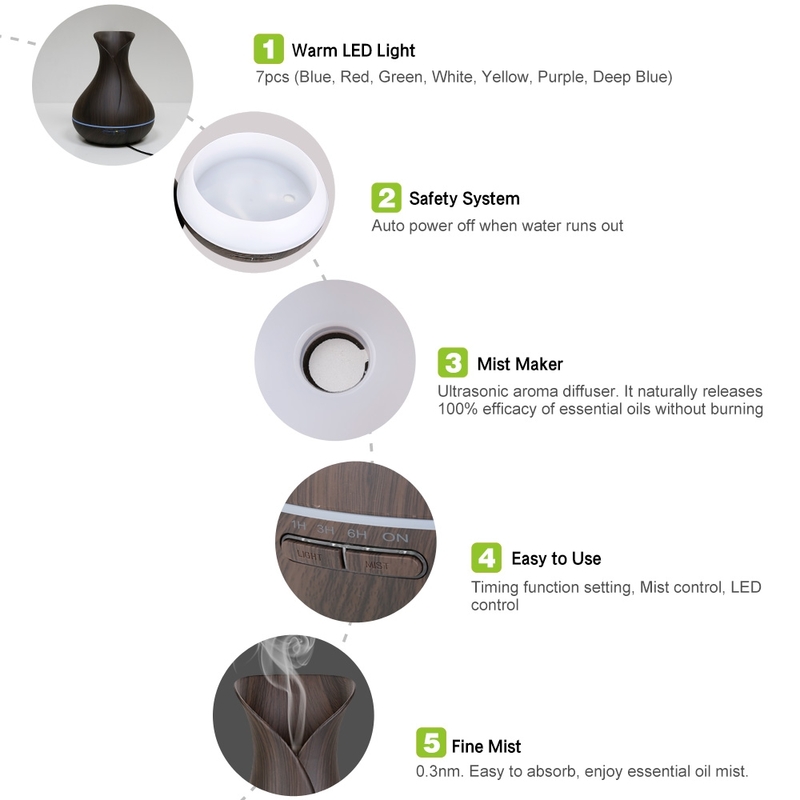 Timed Setting and Mist Control：4 timed setting options: 1 h/3 h/6 h or continuous mode. 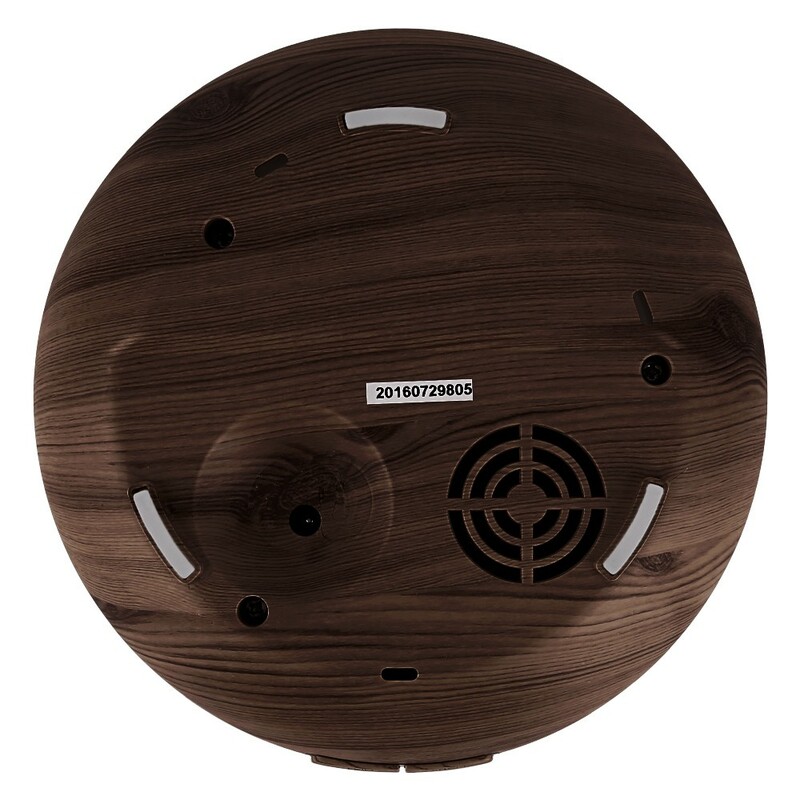 Press the Mist button for 2 seconds, one beep for strong mist with 8h working time, two for weak mist with 12h working time. Select a mode, relaxing and security environment with Waterless Auto Shut-Off Function. 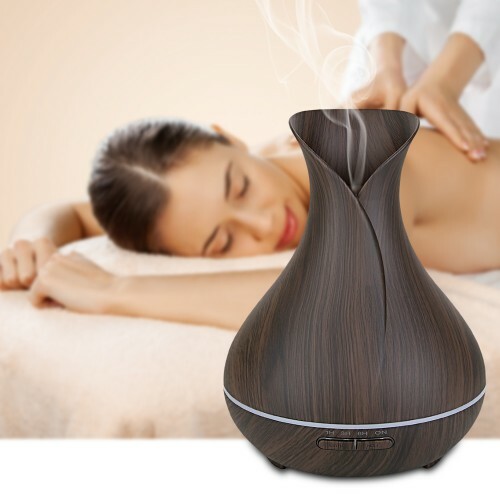 300ML Diffuser with Ultrasonic Technology：Convenient capacity (300ml reservoir), enables the unit to run for several hours without refilling. Adopted ultrasonic technology, the 300ml oil diffuser is extremely quiet when working, studying or sleeping. 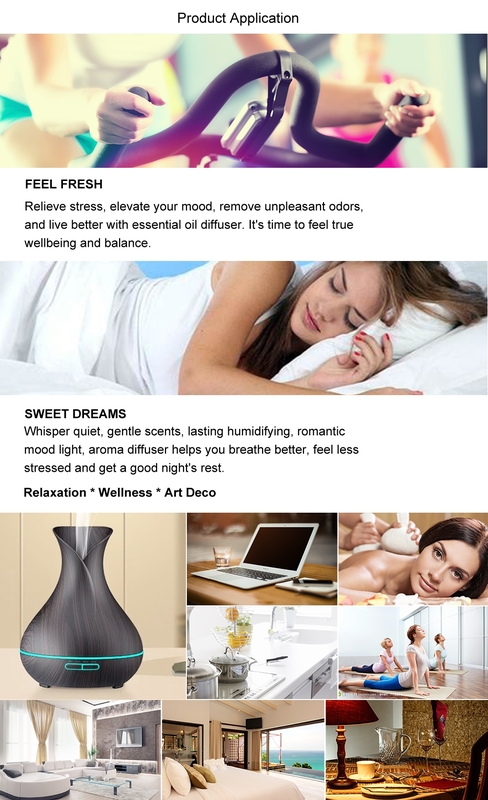 Give yourself an aromatherapy essential oil diffuser and begin to live a healthy life. 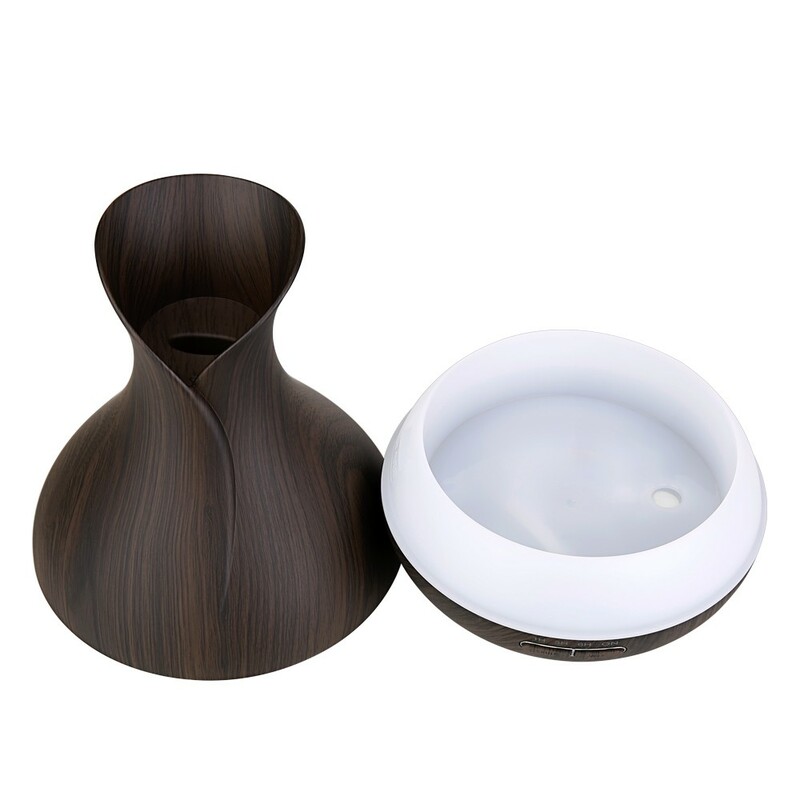 Fill your space with lovely fragrance and remove doggy odors and smoky smells. 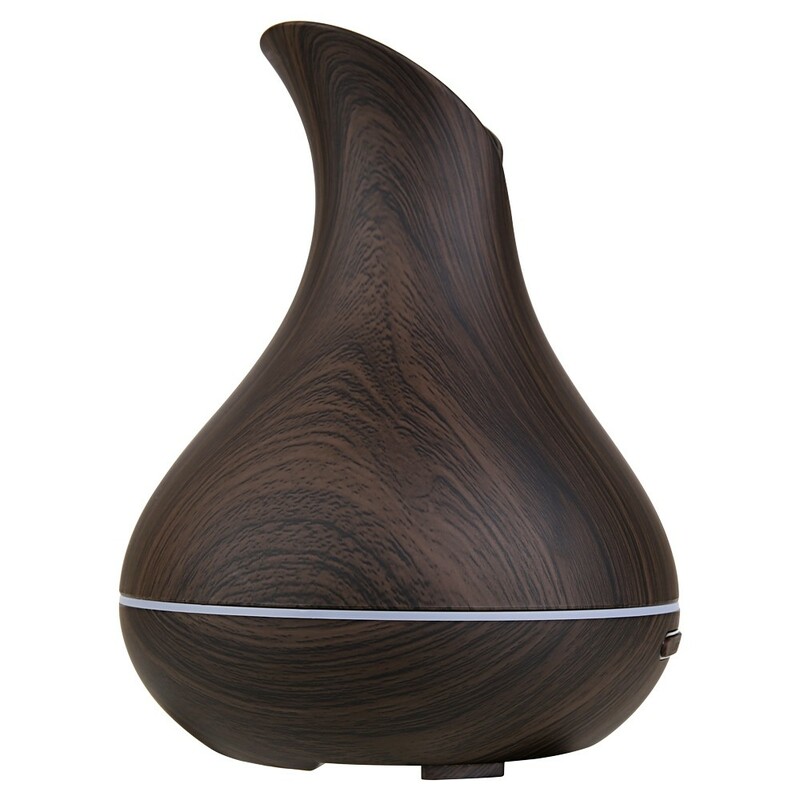 Add more moisture to your skin. Portable for Home, Yoga, Office, Spa, Bedroom, Baby Room. Perfect gift idea for family and friends who love aromatherapy or can benefit from Aromatherapy healing. 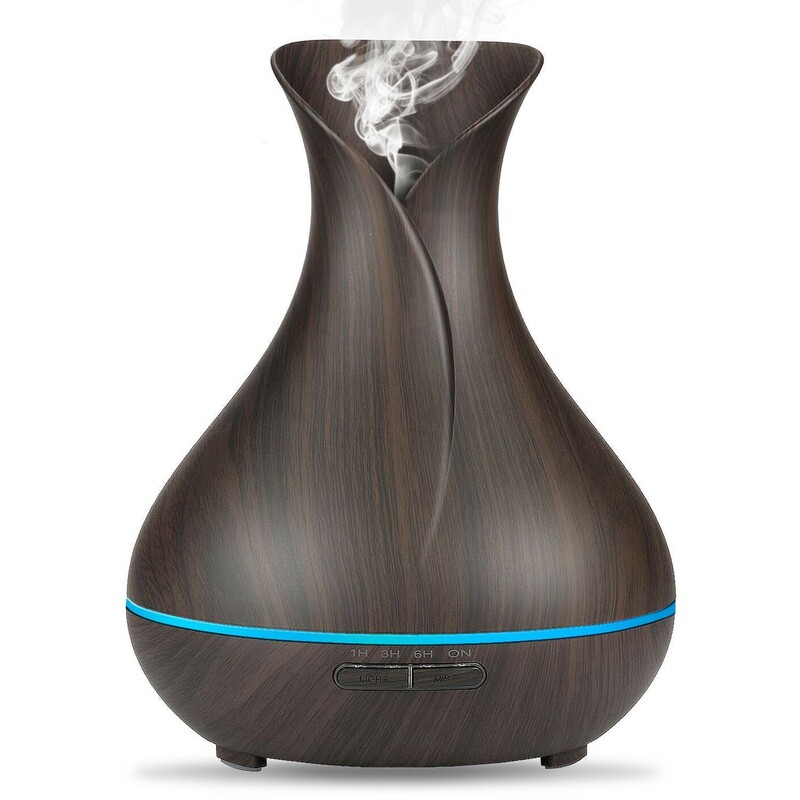 For Aromatherapy: Simply fill the aroam diffuser with oils. 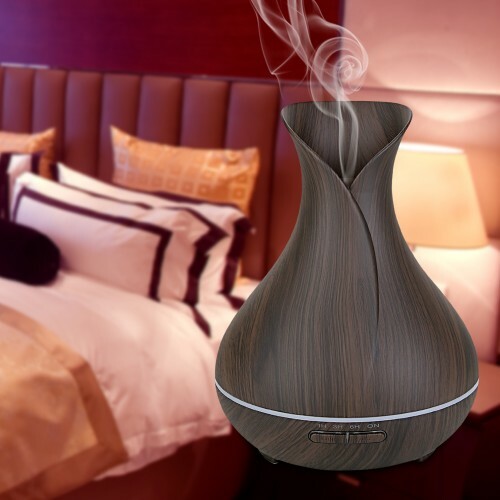 The aroma diffuser transforms water and essential oils into a cool mist - preserving health benefits from the oils while humidifying the room.